Sacramento's Gold Rush history is one of adventure, ambition, and hard work"as the city's numerous state-of-the-art museums and historic sites illustrate. From the heritage of California's earliest inhabitants, to the exciting times of the Gold Rush and beyond, Sacramento has played a central role in Northern California's growth and development. Today, as the capital city of the nation's most populous state, Sacramento continues to pioneer in cutting-edge progress while remembering its past. Visit the California Gold Rush's commercial center (Old Sacramento State Historic Park), and step back in time to learn about the State's earliest residents (California State Indian Museum, Maidu Museum & Historic Site) and the city's original landlord (Sutter's Fort State Historic Park). Stroll about the memorials to those who perished (Sacramento Historic City Cemetery), and follow the trail from statehood (California State Capitol Museum, Leland Stanford Mansion State Historic Park, Governor's Mansion State Historic Park) to development of the vast Central Valley (Sacramento History Museum, Folsom History Museum, Sojourner Truth Multicultural Arts Center) and the State of California (The California Museum). As Northern California's transportation and communications crossroads, Sacramento has a special affinity for the Pony Express (Wells Fargo History Museum - Old Sacramento), trains (California State Railroad Museum), cars (California Automobile Museum), and planes (Aerospace Museum of California). Home to the West's first art museum (Crocker Art Museum), Sacramento's art scene is continually growing (Center for Contemporary Art, Sacramento). 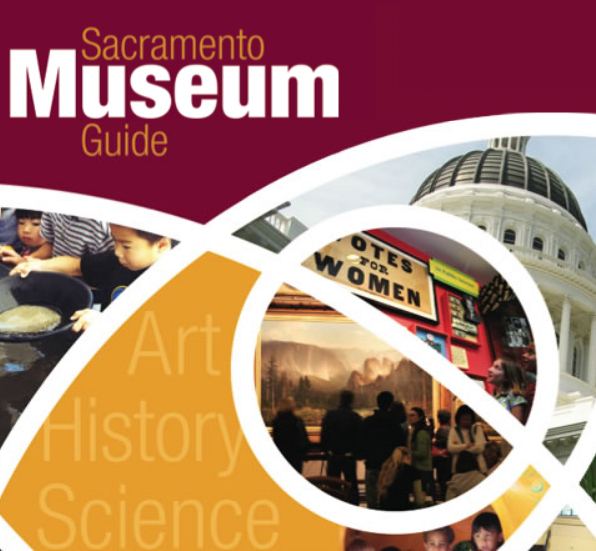 Sacramento also has plenty of agricultural (Heidrick Ag History Center), industrial (California Foundry History Museum), commerce (Wells Fargo History Museum - Downtown), and military heritage (California Military Museum). Healthcare (Don and June Salvatori California Pharmacy Museum, Museum of Medical History), science (Discovery Museum's Science & Space Center), and education opportunities (Sacramento Children's Museum, Fairytale Town, Old Sacramento Schoolhouse Museum, Sacramento Zoo) are all represented in our museums as well! Take a look at all we have to offer - start your adventure right here!